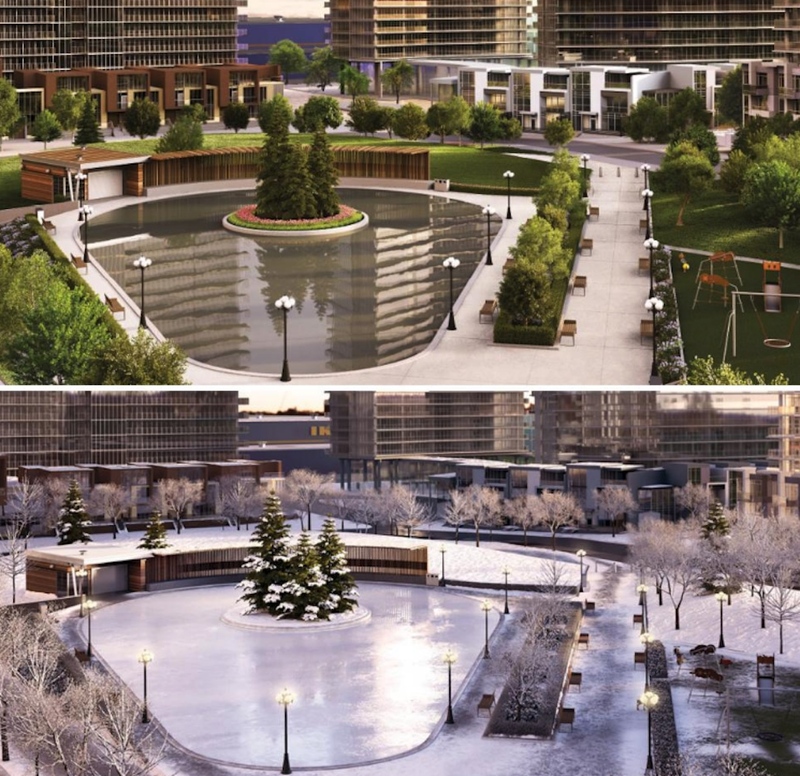 A new 8-acre Toronto park with an outdoor skating rink is opening next year - Canada Eh? 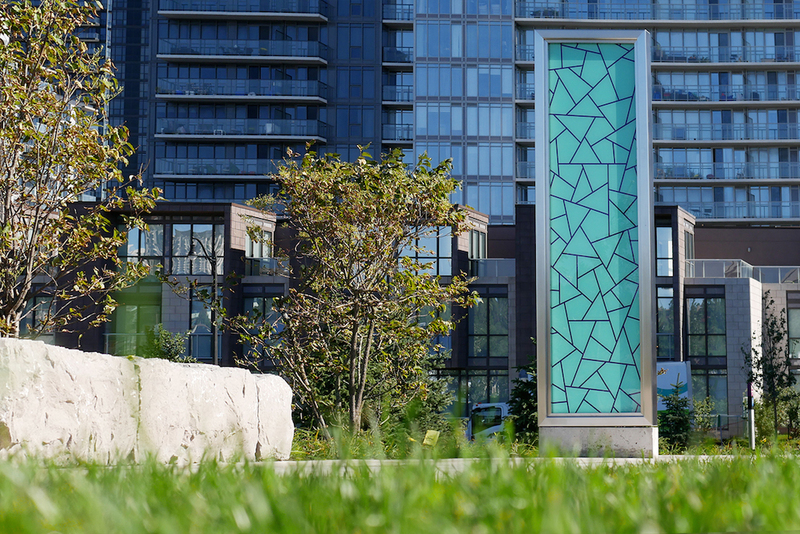 A new public park coming to North York in Toronto promises to be much more than simply an open lawn space. 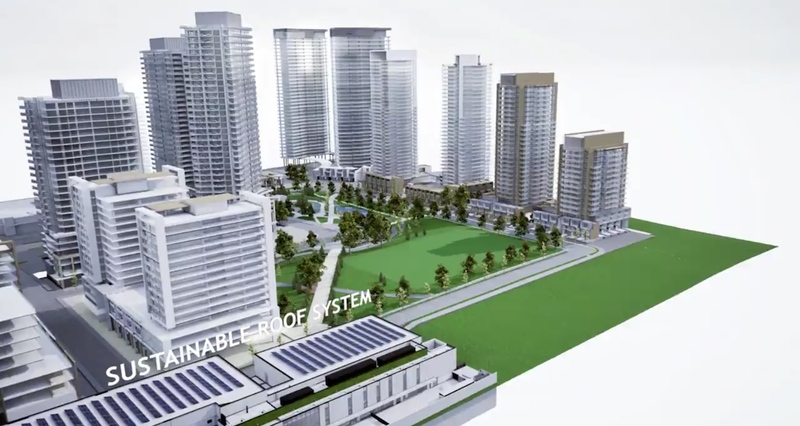 Woodsy Park will be the centrepiece of the 45-acre Concord Park Place redevelopment next to Bessarion subway station and the future 209,000-sq-ft Bessarion Community Centre (BCC). 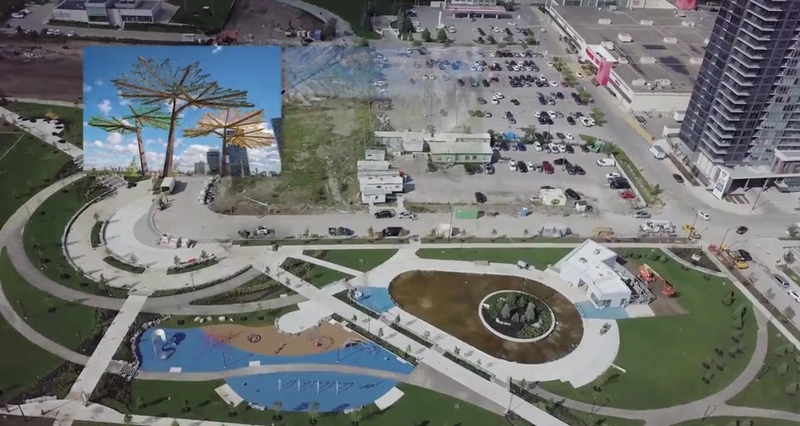 The sprawling eight-acre park will be owned and operated by the City of Toronto once complete, but its construction is being funded and led by Vancouver-based developer Concord. 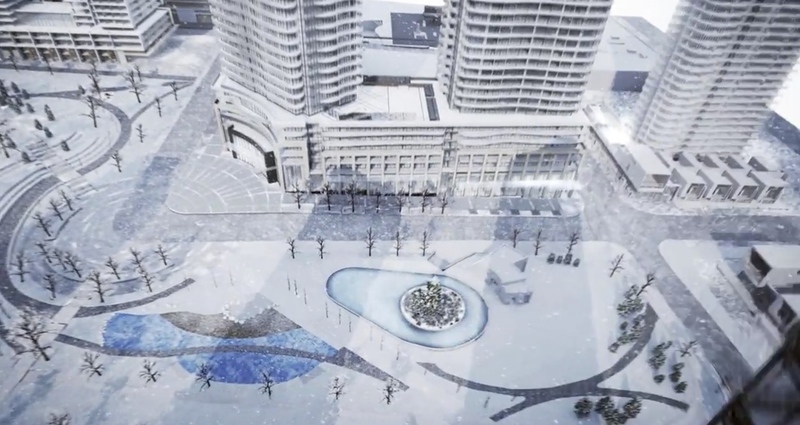 There will be a wintertime chilled teardrop-shaped ice skating rink that doubles as a reflecting pond in the summer. Other features include a kids play area, piazza, grand plaza, a multi-purpose playing field, and wooded park areas. A pavilion next to the pond/skating rink is designed by local architectural firm Studio Kimiis, and a number of public art pieces are dotted across the park, including a piece by Michael Belmore. 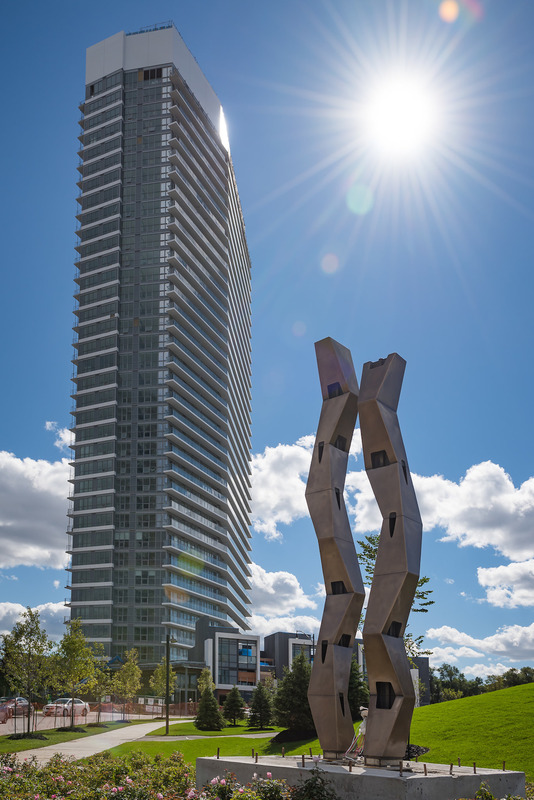 The public park complements the new BCC, which has a public library branch, aquatic centre, and other recreational facilities. Woodsy Park will reach full completion in 2019. 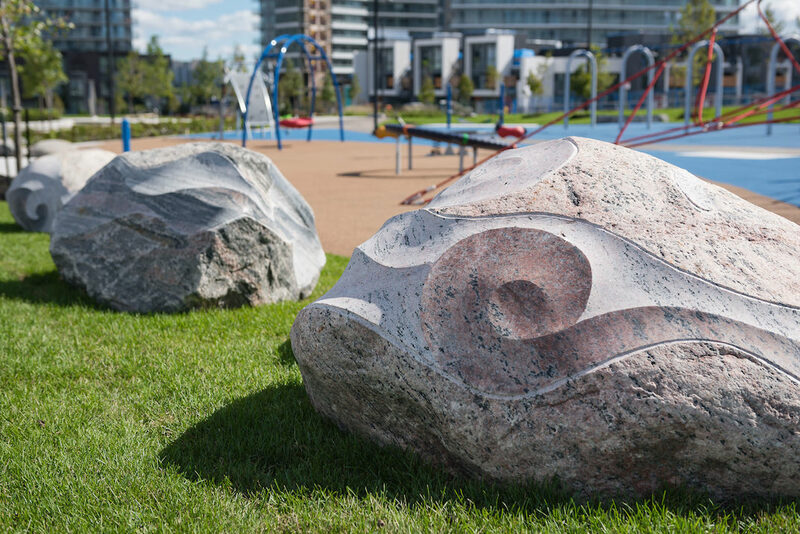 “North York’s largest new park will complete months ahead of schedule. 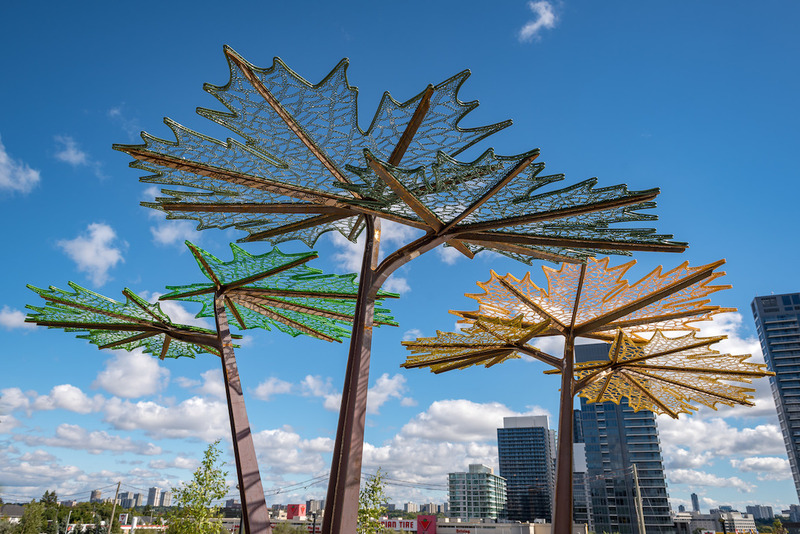 It will boast the region’s largest investment in public art,” said Toronto city councillor David Shiner in a statement. Overall, Concord Park Place spans 45-acres, and will include over 5,000 homes for as many as 10,000 residents, plus commercial and office space. 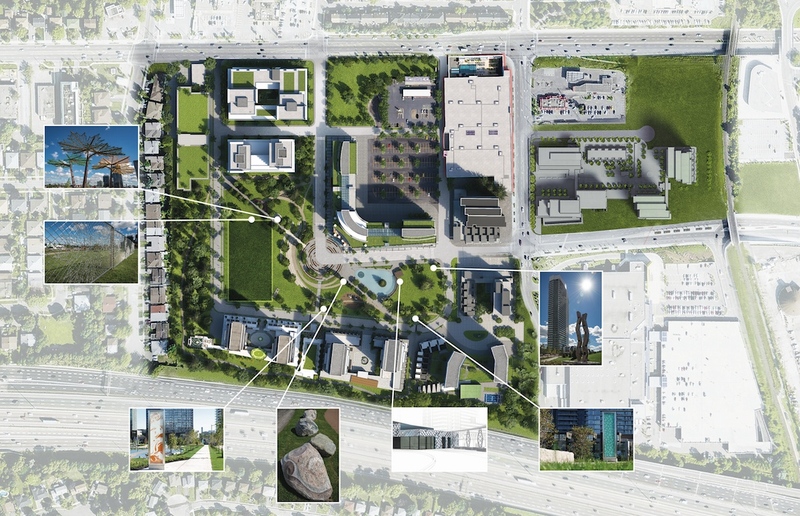 In addition to the community centre and park, residents will also have access to private residential amenities such as bowling lounges, a billiards room, a tennis court, outdoor fitness zone, swimming pools, gardens, children’s play area, yoga and fitness studios, and indoor courts for basketball, volleyball, and badminton.